Celebrations are in order at Bradley Stoke Active Lifestyle Centre, after more than 500 customers, guests and members of the community helped them to achieve a top-five finish in a national competition. 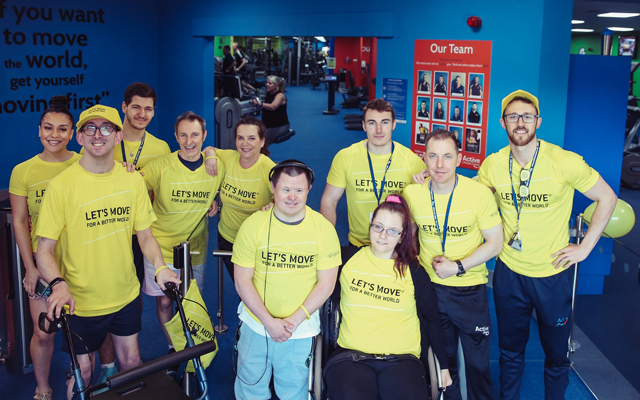 The ‘Let’s Move for a Better World’ campaign, which started on March 12th and finished on March 30th, is spearheaded by premium fitness brand Technogym and encourages participants to become more active and donate their physical activity for a common good in their local community. Last year, over 183,000 people across 29 countries participated, collecting 628 million moves as a result. The campaign has continued to grow significantly year-on-year, with 2019 now confirmed to be the biggest year yet. With 417 facilities and 35,930 people taking part in the UK alone, each of the Active Lifestyle Centres – which operate in five locations across South Gloucestershire – needed to work hard to deliver the desired results. Throughout the three-week period, 1,703 people supported the centres to achieve a collective 6.2 million moves, a significant increase from last year’s result of 5 million. However, facilities were marked individually for the competition, and it was the centre in Bradley Stoke that fared best, improving on last year’s ranking by five places with a final total of 2.36 million moves. Mark Crutchley, Chief Executive of Circadian Trust, the not-for-profit organisation which manages and operates the centres in partnership with South Gloucestershire Council added: “The ‘Let’s Move for a Better World’ campaign reflects our organisation’s mission – to promote healthy lifestyles, raise awareness into increasingly prevalent health issues and benefit the wider community – and it’s for this reason that we were thrilled to be taking part once again this year.